Steve offers a discount of 25% on their first / introductory lesson! 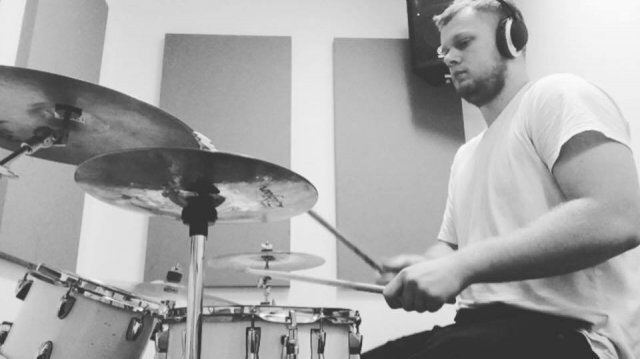 You will be learning from a professional drummer, with a performance degree in drumming from BIMM London and actively working within the music industry. This means you will get in depth support from a teacher who loves to play, has demonstrated dedication to development, and will impart this to you. I am a holder of a current DBS certificate and am based in Fulham, London. If you would like to know a detailed approach to my style of teaching please do refer below to my "Approach to Music Tuition”. You will be learning from a tutor who has been privately teaching drums for the last seven years, involving adults and children. This experience enables you to have lessons adapted to your specific aims and goals, something I would intend to discuss in early lessons. Whether you need the support necessary for someone starting out, or are looking for instruction to take you to the next level in your playing, you will find you can gain either from my lessons. You will also benefit from the experience gained in performance, which includes recent appearances at 'The Dome' London, 'Off the Cuff' near Brixton and 'The Boat House' in Barking. In addition you will also benefit from a teacher who is still committed to their own development, which has involved instruction from the legendary Erik Stams (Walter Schreifles, Butch Thomas, Viola Wills) and Giuseppe Grondona whom has shared the same stage as Eric Clapton, Coolio and Pink. This development enables me to provide you updated approaches and techniques, as they emerge. 'Moving to Steve as my drum teacher in year 4 took my drumming to a new level. His attention to detail, his approachable manner and the fun of lessons has inspired me to pursue music as a potential career. I highly recommend Steve as a drum teacher.' - Nathaniel - drumming student. You will be taught by someone who believes that enjoyment is absolutely necessary in order to progress quickly and efficiently. What you enjoy you will do more of! So ensuring that your aspirations and aims are taken into account in lesson content and approach is vital, so that you derive both fun and satisfaction in your progress. Lessons and practice should be fun because you are doing something you love. As well as receiving an experience full of enjoyment in playing you will also develop great technique. It is much better for you to develop good technique from the beginning, making rectifying bad habits unnecessary. It is much easier to begin well than to re-learn later in your playing career. The experience from which you will be benefitting if you are taught by me, enables the development of basic through to advanced technique. Your musical interests and aims will help shape the content and direction of your lessons. This is possible because you are learning from someone with breadth of teaching experience, is familiar with Rockschool and Guildhall grades 1-8, and has spent four years studying in-depth for a performance degree. All of this learning means you will be taught by someone who is experienced enough to tailor his approach to your specific needs. In addition to enjoyment and technique, you can also ask for help or tuition in sight reading, chart reading, multiple styles/genres, and transcription. You will also touch on these in the normal run of lessons as they occur.